Congratulations! Someone wants to hire you and is going to fly you out to do the job. With the rise of instagram marketing and companies working with influencers and content creators, this is increasingly common, but all of that travel can be draining, especially on long-haul flights when all you want to do is sleep and have some decent food. For the most part, clients aren't going to fly you in business or first class, but there are ways to get upgraded yourself and maximize airline loyalty programs to make your travel more comfortable and more rewarding. Through commitment to gaining status and traveling within one airline alliance, being smart about booking travel, and changing the way you redeem miles, you can revolutionize your business travel and reap tons of benefits while doing so. If you’re a full time influencer or content creator, chances are you travel enough to earn status. Earning elite airline status is important because it grants you valuable benefits, increases your traveling comfort and saves you and your clients money. You earn status by meeting distance and, increasingly, spending requirements with a specific airline by tying each reservation you make with them to your frequent flyer (ff) account. FF programs are notoriously complicated, but it is important to know for the purposes of this article that there is a big difference between “Elite Miles” and “Award Miles." 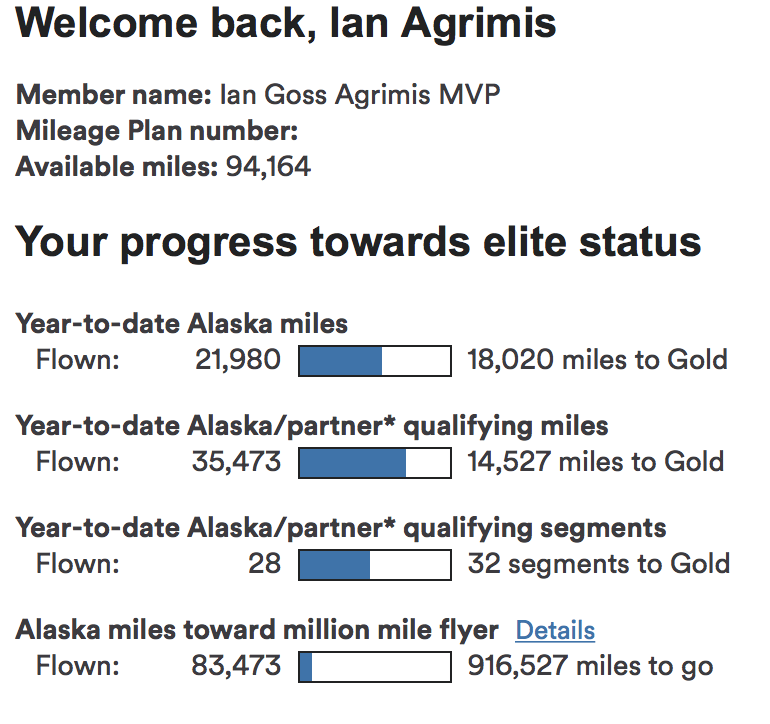 Briefly: Elite miles are the miles you flew with an airline, but award miles are the miles they give you that can be redeemed. A 1000 mile flight will generally earn you 1000 elite miles. On the same 1000 mile flight, if you have status you’d likely earn more than 1000 miles as airlines often offer increased earning rates depending on which tier of status you have acheived. As an influencer/content creator traveling on last minute plans, this can help you earn a lot of extra miles because last minute tickets can be very expensive, netting you a lot of extra miles in programs that have moved to systems that award miles based on price paid vs. distance flown. I am not flying with my usual airline, therefore I can not earn miles or work towards status. False. Let’s say you are based in California, but have to fly to Vietnam. There are no direct flights from North America to Vietnam, so you will have to depart from your typical carrier. This is where airline alliances come in. Airline alliances are groups of airlines that work together to serve a larger route network than any single airline could serve on their own while allowing members to receive benefits across multiple markets. I'll speak to my own experience as an elite member with United and Star Alliance, though benefits are similar within each alliance. When I flew the aforementioned trip, I traveled with Asiana Airlines, a Korean based, Star Alliance member airline. I added my united number to the reservation and earned thousands of miles towards United status qualification, and even more award miles (because the ticket was expensive). I also had lounge access, free checked bags and priority check-in, security, and boarding. Having these benefits globally is why it pays to commit to one airline and alliance. You will also earn status more quickly and a ton of award miles that you can use for personal travel and upgrades later on. This particular flight had a lounge on board, pretty insane! Someone else paid for my ticket, therefore I can not earn award or elite miles. Very false. First of all, if you’re working with a bigger company’s travel department to book your travel, make sure they have your airline/alliance preference and once the booking is made, verify that your ff number is actually in the reservation because you earn miles for any reservation you fly on, regardless of who booked and paid for it. If you are doing the reservation yourself, consider the true cost of foregoing your preferred airline or alliance to save a few dollars. I routinely book travel on Star Alliance even when it’s more expensive than other options because I don’t have to pay baggage fees which, depending on the needs of the production, can save clients $150 or more. If Star Alliance carriers price out $100 higher, I end up saving the client $50 by booking Star Alliance if I don’t have to pay for bags. Not to mention gaining lounge access which saves me from buying an overpriced and underwhelming airport meal (though lounge meals aren’t always edible). The Turkish Airlines lounge in Istanbul is an extraordinary exception to the norm of lounge cuisine. They have two restaurants, a movie theater, and more. Another way to save your clients money on airfare, albeit, in a slightly obscure way, is to buy miles to use to buy your ticket. Let me say right off the bat that this will not work every time, or in every loyalty program, but it has worked for me before when helping others find cheaper airfare. Imagine you learn that you need to go to Hong Kong for a shoot next week but when you go to look at airfare, fares are prohibitively expensive on your preferred carrier out of LA. First, do a search to see if any of these flights are available to be booked with points. If it’s close to departure, there will often be seats available. In this example there were, so I consulted the award chart to confirm the cost of miles to take this flight. As you can see, these are pretty reasonable compared to the cost of the ticket, so redeeming miles would be a great option. But before you ask, "why would you buy your own ticket for business travel?" The answer is, I wouldn’t, so keep reading. At this point, I would go to the buy miles section of the loyalty program website and see the rates for purchasing enough miles to buy this ticket. On this day, there happened to be a bonus offer going, so I would receive more miles for making a purchase. With the bonus, purchasing the miles becomes a clear choice. In this case, I would spend $1182.50, end up with 56,000 miles (enough to book a business class ticket) and save the client $400. That being said, you won’t earn elite or award miles on this flight because it was booked with miles, but for the added comfort of business class on such a long flight, many would agree that’s worth it. As a disclaimer, I would mention to the client that you plan to book the ticket a different way and confirm they are willing to reimburse you for doing it this way. Miles are worth the same no matter what you redeem them for. FALSE. Once you’ve committed to an airline/alliance and begin climbing up the elite status ladder, you will have earned tens, if not hundreds of thousands of award miles. Once you have a significant balance, which I would consider to be 100k or more, you can leverage that balance to increase the comfort of your travels for business and pleasure. First, let me explicitly recommend never redeeming your miles for anything but tickets or upgrades. As you start to earn miles, the airline you’ve earned them with will spam you with ways to spend them on anything from concert tickets to vacuums. The reason why you should never do this is simple, you could spend 100,000 miles on a $500 Dyson vacuum, or the same 100k on a $5000 first class ticket to Europe, one of these options is clearly a better value for your miles. Is this better than a vacuum? You decide! I have earned millions of miles from following this strategy, but I have essentially tripled my earning ability by utilizing credit card rewards to ensure I’m earning points or miles from every single dollar I spend. The cards I use the most (Chase Sapphire Preferred, American Express Platinum, and the Starwood Preferred Guest card), have bonus categories that I can maximize with nearly every dollar I spend on production: Dining and travel. Once I earn these points, I transfer them to the airline program I would like to buy the ticket with. I can discuss my credit card strategy more in a future post, but I'm focusing on miles earned from flying in this article. Depending on the level of status you achieve, each year you will be given certificates that can be used to upgrade certain flights of your choosing. Whether you use these on personal or work travel is—of course—up to you, but they can really come in handy if you have to take a long-haul flight and all other options to upgrade are off the table (no upgrades available for miles, cash upgrades too expensive). Keep in mind that these upgrades expire at the end of the calendar year, so it is best not to save them until it is too late. The other way you can upgrade is a combination of miles and money. These typically aren’t a great value as the amount of cash you have to spend in addition to the points can be quite high, but again, that is up to you. I personally try to avoid spending any additional miles or money seeking upgrades on flights under 6 hours. However, thanks to my status I get complimentary upgrades on these flights all the time, which often takes the sting out of booking a coach seat. A complimentary gin and tonic makes it a lot easier to spend hours editing on a plane. Another last minute upgrade option can often be found during check-in as airlines will sell upgrades on a space-available basis. Particularly on domestic flights within the US, these can be very cheap (often less than $100) and if you have lots of bags to check, quickly do the math to determine if you could actually save money by upgrading and having the baggage fees waived. This happened to my coming back from a shoot in Colorado where an upgrade was $99, but included 3 checked bags up to 70lbs. It just so happened I had three checked bags that all weighed more than the standard allotted 50lbs., which was going to cost me a lot more than $99. I paid for the upgrade and my net savings was in excess of $300. One way that this loyalty strategy falls apart is if you are traveling on a comped ticket, these fares (which are often used when doing work with tourism boards) are special prices negotiated between airlines and companies that generate a lot of travel on said airline. These fare types often don’t earn miles, but assuming the comped ticket is on an airline in your alliance, I have seen these flights earn elite miles, and if you call or ask an agent at the airport, they can typically add your frequent flyer number to the reservation so you retain your day of travel benefits. What’s more, unless you have the highest tier of status on your airline, you typically can’t count on upgrades when flying on long-haul routes. Even with top-tier status (excluding United Global Services, American Concierge Key and Delta 360 where you’ll get upgraded almost every time), this isn’t something you should count on. Another problem is flight schedules. Sometimes you absolutely have to be somewhere at a certain time and your preferred alliance or airline doesn’t fly that day or, worse, that route. In this case, sign up for the ff program with the airline you’re flying and make sure to get the miles for the flight so they don’t go to waste, you never know when you may be able to earn or redeem more in the future. Flying new airlines can be a good thing! Finally, the point of earning all of these miles is to redeem them, which can be notoriously hard and the fact of the matter is that long-haul flights with business and first class seats are often tricky to book with points. I recommend trying to book those flights as far in advance as possible and if you can’t do that, do it as close to departure as you can as availability of these seats typically is represented by an upside down bell curve across time. If you’ve tried and tried and still can’t find anything, let me help. Follow me on instagram and tag two friends who need to overhaul their travel strategy and your first booking is free. While it does require a bit of a commitment to start reaping the benefits of frequent travel, once you earn status, start making smart booking decisions, and make some amazing award redemptions, it'll be easy to see that the golden age of travel is actually today. Ask any questions in the comments or find me on instagram! I hope your travels become smoother and more lucrative in 2018!